Better World Advertising (BWA) and the University of California San Francisco (UCSF) colloborated on a video advertisement campaign that launched May 16th, 2018. 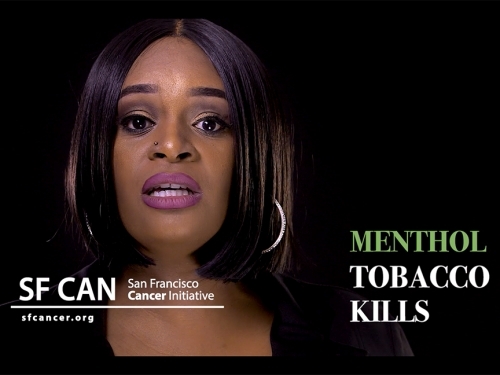 The campaign is aimed at raising awareness among women between the ages of 30-60 who live in San Franciaco, about the health risks associated with the use of menthol cigarettes. Two versions of the video ad were produced to accomodate the media run. The 1:00 video will run on Facebook, while an extended (2:39) version will be featured on the SF Cancer Initiative website and the UCSF YouTUbe page.